1.立党为公，执政为民。 The Party was founded for public good and it exercises state power/governance for the people. 3.人民日益增长的物质文化需要同落后的社会生产力之间矛盾是我国社会的主要矛盾。 The principle problem in our society is the backward production cannot meet the ever-growing material and cultural needs of the people. 4.我们在任何情况下都要牢牢把握住社会主义初级阶段这个最大国情。We must bear in mind under any circumstances the paramount reality that China remains in the primary stage of socialism. 5.我们必须把坚持以经济建设为中心同四项基本原则、改革开放这两个基本点统一于中国特色社会主义伟大实践。 We must adhere to both the central task—economic development—and the two basic points—the Four Cardinal Principles and the policy of reform and opening up—in our great endeavor to build socialism with Chinese characteristics. 6.我们要胸怀理想、坚定信念、不动摇、不懈怠，不折腾、顽强奋斗、艰苦奋斗，不懈奋斗。 We should remain true to our ideal, be firm in our conviction, never vacillate in or relax our efforts or act recklessly, and we should forge ahead/press forward with tenacity and resolve. 8.司法公信力应不断提高 Public trust in the judiciary should be steadily enhanced. 9.社会主义核心价值体系深入人心 Core socialist values takes roots among the people. 10.公民文明素质和社会文明程度明显提高 Both the level of civility and the moral and ethical standards of the whole society should be significantly raised. 19.以经济建设为中心是兴国之要，发展仍是解决我国所有问题的关键。Taking economic development as the central task is vital to national renewal, and development still holds the key to addressing all the problems we have in China. 20.以科学发展为主题，以加快转变经济发展方式为主线，是关系我国发展全局的战略抉择。 Taking scientific development as the underlying guideline (not theme) and accelerating the change of the growth model (not pattern of economic development) as a major task(not main thread) is a strategic choice we have made for promoting China’s overall development. 35.科技创新必须摆在国家发展全局的核心位置。 We must give science and technology top priority in overall national development. 37.着力构建以企业为主体，市场为导向，产学研结合的技术创新体系 We should establish a system of technological innovation in which enterprises play the leading role, the market points the way, and enterprises, universities and research institutes work together. 41.牢牢把握扩大内需这一战略基点 We should firmly maintain the strategic focus of boosting domestic demand. 43.理布局建设基础设施和基础产业 make geographical/regional layout of the development of infrastructure and basic industries more balanced. 46.对农民采取多与少取放活的方针 We should give more to farmers and take less from them and lift restrictions over their business activities. 50.提高利用外资综合优势和总体效益 We should make full use of our overall advantageous position in utilizing foreign capital and make better use of such investment. 54.必须坚持党的领导、人民当家作主，依法治国有机统一。 We must ensure the unity of the leadership of the Party, the position of the people as masters of the country and law based governance. 58.要把制度建设摆在突出位置，充分发挥我国社会主义政治制度优越性，积极借鉴人类政治文明有益成果。 We should place high importance on system building, give full play to the strength of the socialist political system and draw on the political achievements of other societies. 59.我们决不照搬西方政治制度模式 We will never copy the Western political system. 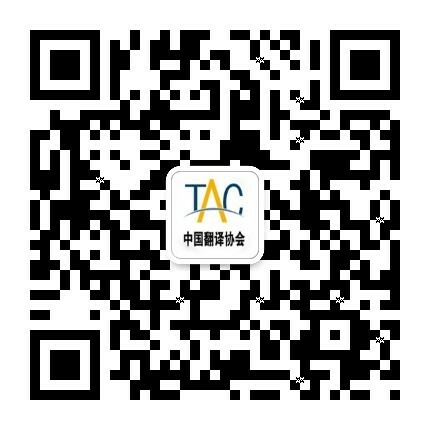 65.提高领导干部运用法治思维和法治方式深化改革，推动发展，化解矛盾，维护稳定的能力 We should ensure that leading officials are guided by law in both thinking and action in their effort to deepen reform, promote development, solve problems and maintain stability. 66.任何组织和个人都不得有超越宪法和法律的特权。 No organization or individual has the privilege of overstepping the Constitution and laws. 67.绝不允许以言代法、以权压法、徇私枉法。 No one in a position of power is allowed in any way to take his own words as the law, place his own authority above the law or abuse the law.